Fantasy football sleepers are like that tasty maraschino cherry placed atop the whipped cream on a sundae, adding that extra bit of flavor to what all owners hope will prove to be a delectable draft haul. The potential is usually obvious, which leads to the "sleeper" label, and if they produce, they are invaluable to the team, just as the cherry is to that tasty novelty. 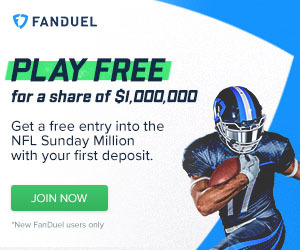 There is no better time than late summer to examine a new crop of potential sleepers as the preseason offers these aces the chance to blip their way onto the radars of owners across the fantasy landscape. One potential 2015 sleeper that has turned heads throughout the offseason is New Orleans Saints' wideout Brandon Coleman. The 23-year-old, who went undrafted in 2014, spent last season shuffling between the team's practice squad and active roster, but a strong performance on the practice field throughout the spring and summer has left the former Rutgers man poised to make an impact in 2015. Coleman's measurables speak for themselves: 6 ft 6 in, 225 pounds, and a solid 4.5 forty-yard dash paint the portrait of a prototypical outside weapon with a special catch radius. Coleman cuts a figure similar to that of a young Plaxico Burress, able to use his body and unique length to dominate smaller defensive backs in the passing game, and to excel as a blocker in the run game. He has shown a willingness to contribute on special teams, which has garnered praise from Saints' coach Sean Payton, who is notoriously tough on his young players. The Saints' coach singled Coleman out as the team's most impressive player through camp thus far. In fact, Payton went as far as to say that Coleman reminds him of a current Saint who, nine years ago, transcended sleeper status, literally coming out of nowhere to put together a fantastic rookie year after he nearly went undrafted himself. That player, Marques Colston, has become a stalwart of the Saints' attack over the years, and Payton can see the similarities, particularly in the youngster's improved work ethic. 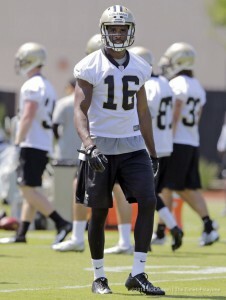 Brandon Coleman has stood out in practice with the Saints over the last two offseasons. "I think Brandon has made similar strides (to Colston), so I'm excited about his growth," Payton said. "He's very smart and very detailed. We just need to get him more snaps." Payton may be referencing last week's preseason opener when Coleman operated almost strictly with the special teams units, seeing sparse action with the backups in the second half. However, he has been practicing almost exclusively with the first-team offense throughout training camp, and is poised to see much more action against the New England Patriots in the club's second preseason game this weekend. "I talked with him afterwards. I think you’ll see him (against the Patriots). He's healthy, and there was no specific rhyme or reason," Payton said, referencing Coleman's lack of meaningful offensive snaps in the first preseason game. "Obviously there are a lot of guys at that position. But he's been playing too well, and we feel like you'll see him get a lot of work this week with the ones. You'll see in the game Saturday with the ones." Coleman has been working as the number 3 wideout, teaming with Colston and Brandin Cooks in three-wide sets. The likes of Nick Toon, Joseph Morgan, Josh Morgan, and fellow 2014 undrafted wideout Seantavius Jones are all vying for a role, but Coleman, with his unique physical traits, seems to have sprung into prime position to grab the no. 3 job on the strength of a productive offseason. With Kenny Stills now in Miami, and Jimmy Graham dealt to Seattle, players such as Coleman and fellow Saints' super-sleeper TE Josh Hill are primed for bigger roles, particularly in the red-zone, where Graham's size and playmaking ability will be difficult to replace. Coleman's ability to post up and hold off smaller corners, safeties, and even some linebackers, could make him a useful asset in the red area. Inconsistency, injury, and a decision to forego his senior year at Rutgers all contributed to Coleman going undrafted last year. That led to the Saints, who have been known to make hay in the UDFA market, quickly snapping him up as a priority free agent. Following a valuable year in the system which gave him a chance to further-polish his skills, Coleman is ready to make good on his chance to showcase the dripping potential which has him as one of our favorite sleepers heading into the season. Quarterback Drew Brees does not pick favorites, choosing to simply get the ball to the open man and spread it around at will. Furthermore, Coleman's blocking skills on the edge could see him earn extra reps on early downs and on plays near the goal line, where his size, length, and ability to hold off those smaller defenders - particularly in jump ball situations - will come into play. Additionally, he can use that size to evade those defenders in man-to-man coverage and exploit holes in zone looks. The Saints' passing and route trees offer plenty of crossing patterns and slants over the middle; routes that Coleman is familiar with from his college days. His red-zone skills at Rutgers spoke for themselves, as he managed to tie the school's record for receiving touchdowns (20) despite playing just three years. Fantasy football sleepers come in all shapes, sizes, and packages, but what they all have in common is value. Brandon Coleman has the tools to be a big round peg in a big round hole in the Saints' offense, which, to fantasy players over the last several years, has been a gift that keeps on giving. The late rounds of fantasy drafts are all about value, and if Coleman continues to progress, he could turn out be quite the steal. The Saints will view him in the same light if he develops into the next steal in a long line of productive undrafted free agents who go on to make their mark on the team's active roster.